Shelly West from the cover of her greatest hits CD. 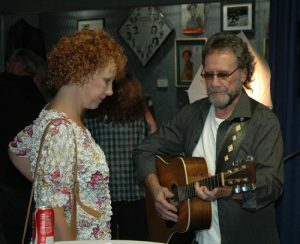 Shelly West had a string of country hits in the 1980s, both as a solo artist and as the duet partner of David Frizzell. Shelly and David each have a renowned musical heritage—Shelly is the daughter of the late, great Dottie West, and David is the younger brother of the late, legendary Lefty Frizzell. Shelly West was born on May 23, 1958, in Cleveland, Ohio. Her mother, Dottie, was in the early phase of her singing career at the time, performing in local clubs and on television. Her father, Bill West, was a steel guitarist and songwriter. Dottie and Bill would have four children together. Shelly and her family moved to Nashville in 1961. There, Dottie’s career began to take off in the mid-1960s, and it peaked in the late 1970s and early 1980s when she was Kenny Rogers’ duet partner. Dottie and Shelly’s father divorced in the early ‘70s. A tragic car accident claimed Dottie’s life in 1991 as she was on her way to a performance at the Grand Ole Opry in Nashville. Shelly began singing with her mother’s road show while a teenager. Interestingly, her own career began to peak at the same time that her mother was achieving her greatest success, as Rogers’ singing partner. Shelly too had found a singing partner, in David Frizzell. David Frizzell and Shelly West discussing a new song concept at the Willie Nelson and Friends Museum. David was not only the younger brother of Lefty; he was the older brother of Allen Frizzell, who had played guitar in Dottie’s band. Shelly and Allen married each other in 1977, so David was Shelly’s brother-in-law. After their marriage, Shelly and Allen left Dottie’s show to perform with David, who was then touring clubs mainly in the Southwest. In 1980, David and Shelly recorded a couple of songs together for a small label, including one titled “You’re the Reason God Made Oklahoma.” Clint Eastwood heard the song and liked it so much that he featured it in his comedy film Any Which Way You Can, which was released in late 1980. “You’re the Reason God Made Oklahoma” went to number-one on the country charts. The Country Music Association honored West and Frizzell in 1981 with Vocal Duo of the Year, while the Academy of Country Music honored them with Top Vocal Duet. Both of those honors were duplicated in 1982. Follow-up Frizzell-West albums from the early 1980s were The David Frizzell & Shelly West Album, Our Best to You, and In Session. Their other hit singles included “Another Honky-Tonk Night on Broadway,” “I Just Came Here to Dance,” “Please Surrender,” “Silent Partners,” and “It’s a Be Together Night.” David and Shelly regularly performed concerts together through the mid-‘80s. “It’s a Be Together Night,” by Shelly and David. While Shelly was enjoying success as David’s singing partner, she also charted her own hits. The most popular of her solo songs was “Jose Cuervo,” which rose to the number-one spot in 1983. The tequila company was grateful for the resulting sales boost. The tune came off of 1983’s West by West album. Later in 1983, the album Red Hot was released, followed by 1985’s Don’t Make Me Wait on the Moon. “Jose Cuervo,” Shelly’s huge number-one hit from 1983. “Another Motel Memory,” from Shelly West. 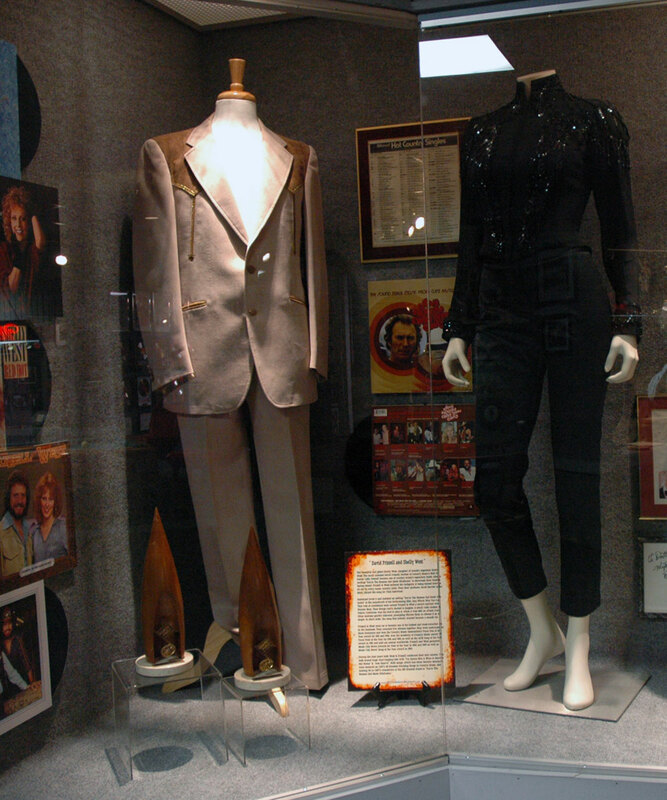 David Frizzell and Shelly West Exhibit on display at the Willie Nelson and Friends Museum. Shelly and Allen divorced in 1985. She then married stage producer Garry Hood. That marriage too later ended in divorce. As Shelly focused on raising her children from both marriages, she put her music career off to the side. However, she toured with her mother during 1990—the year before Dottie’s death. In the 2000s, West has appeared on a number of television specials, including episodes of RFD-TV’s Country Family Reunion. Around 2011, she began to perform again with David occasionally, mainly in Branson, Missouri. Shelly and David perform “Husbands and Wives” together on stage in 2011—thirty years after they had a hit with the song. Shelly’s daughter Tess Frizzell, whom she had with Allen, is a Nashville-based country singer.